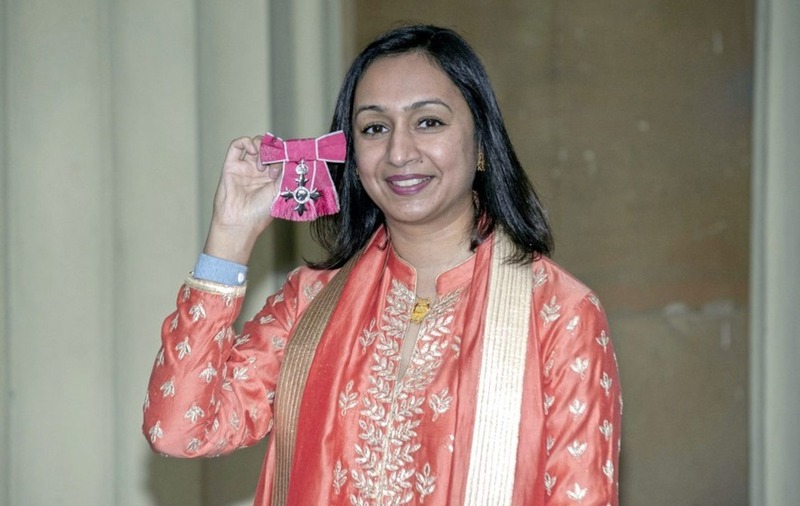 Appointed Member of the Order of the British Empire (MBE) by Queen Elizabeth II for her contributions to engineering. Headlined a fashion campaign shot by renowned photographer Annie Leibovitz. Named a “Twitter account to follow” by The Guardian. 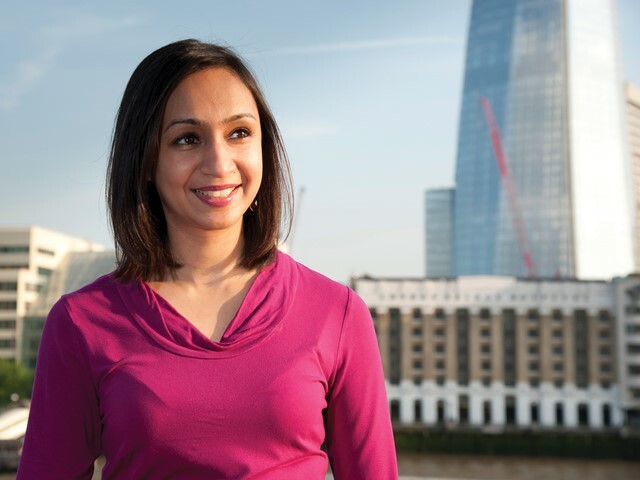 Roma Agrawal’s work has been recognised around the world — and yet, most people have no idea what she means when she says that she’s a structural engineer. Roma’s work may be technical, but understanding what a structural engineer does is quite simple: she designs the structure of buildings. She takes the sketches created by architects and figures out the technical specifications that will make the structure actually stand up. Roma spent six years working on the Shard, the tallest building in western Europe — she designed the building’s foundations and signature spire. Roma currently works as an associate director at AECOM, an international engineering company committed to addressing the gender imbalance in the sector. Roma is a passionate advocate for increased diversity in her field. She visits schools, universities and organisations around the world to encourage underrepresented groups to consider engineering, scientific and technical careers. Through interviews and op-eds, Roma challenges preconceptions about engineering and raises awareness about gender disparity in the field. I spoke to Roma about what types of people might enjoy engineering, how teachers can better support female students and what she looks for in job applicants. Tess Thomas (TT): Your love of building things began at an early age, what was it about engineering that first attracted you? And now that you’ve been in the field for a little while, what about your work continues to excite you? Roma Agrawal (RA): I always had this very innate curiosity. I used to make things and break things. I used to build with building blocks and play with this construction toys and stuff. I think my parents always gave me and my sister a very strong grounding in this kind of scientific world, but I don’t think I ever associated the word “engineer” with what I was doing. I always loved science because I felt like it made sense, it was logical, I could solve problems. I really loved maths as well and so I decided to go and study physics at university. That spark for engineering rather than physics happened over one summer when I was working. I had a really boring job, but the people around me were doing so much interesting work and they were all mechanical engineers. Being surrounded by them and watching them work for three months, I realised that they use maths and physics to make real things. That’s when it really struck me that engineering is about being practical and pragmatic. It is taking all these complex scientific principles and actually creating something for people out of it. That’s when I said, “OK, this is what I want to do.” So I had to study a master’s in engineering after I finished my degree in physics, which is a really unusual route to take actually. I think it’s all about people and relationships for me now. That’s what keeps me really drawn to engineering. I used to think engineering was about maths and calculations and computing and doing quite technical work. But I soon realised that if you can’t communicate what you are trying to do and you don’t have relationships with people, then you’re not going be able to be a successful engineer. And I think that’s what now is my first love of engineering — it’s being creative with other people and building those personal relationships. TT: In your videos and speeches, you talk about how being an engineer requires a lot of creativity, which is not something that people always assume about technical fields. For Assembly readers who might not know a lot about engineering, what do you think they would be surprised to know about the field? RA: I certainly was surprised at how much I had to work with other people. You have these stereotypes of engineers being these geeky people that sit behind their computer screens all day, but I actually I spend most of my time in meetings with the people. And when you think about it, it makes perfect sense, because we’re making things for people. They often involve a mix of different expertise that need to come together. If you think about a building, yes you need to make it stand up, but you also need to make sure the foundations work, you need to get heat, light and air. You need to think about how many people are going to come in and out of this building, how does the sewage work. All of these different aspects of a building require different types of engineers, different types of experts. So to put what’s a very complex thing together requires a lot of talking and negotiating and discussion. I was certainly surprised by that. People that love presenting and talking to people, they might not consider engineering as a first choice of career but actually could be a brilliant engineer. TT: You’re an advocate for engineering and scientific careers, particularly for young women. What do you think needs to change in education systems so that we can encourage more young women to study STEM? RA: I think it’s quite a cultural thing. Having grown up in India, we definitely have more of an emphasis on STEM subjects — and I think that is to the detriment of history, English, literature and so on. When I moved to the U.K., I found it quite strange that girls didn’t seem to see STEM as being something that they were good at or that they would enjoy. I feel like from a very young age, we are putting children into these stereotyped boxes and that continues through school. I consistently hear women saying, “I’m not good at maths.” There’s a lack of confidence with teachers and parents who don’t see STEM careers for their daughters because most of the role models that they see are men. There’s absolutely no biological reason why girls wouldn’t thrive in these subjects and that’s proven by going to the country a bit further east. So it’s really about us trying to question these deeply ingrained stereotypes that exist in our society, but I don’t believe for good reason. TT: In your book “Built,” you bring together scientific explanations of structures along with personal stories and anecdotes. Why was it important to you to make engineering more accessible to a mainstream audience? TT: You’ve spoken before about some of the challenges of building the Shard in terms of site constraints and building on clay. For you, what was the hardest part about that project and what was the most rewarding? RA: I think the hardest part of the project is actually that it’s a building in central London. If I’m being a little bit simplistic, if you’re going to build a tower in a nice big field in the middle of nowhere, it’s a relatively easy thing that you can do. But when you’re building in the middle of a city like London, we had a train station and a bus station. We had underground train lines running in tunnels near the site. We had a hospital across the street. We had millions of people that commute through London Bridge station every year. And we had the local authorities that are involved, the different rail companies that are involved. So it’s a massive logistical challenge. Then to add to that, trying to bring and take away material from the site where it’s busy and there’s lots of traffic. So for me, in some ways, the actual maps and the physics of making the tower stand up are a challenge, of course, but then trying to weave it into the middle of a very busy city… that’s where the smarts come in. That’s where you have to be creative, you have to be collaborative, you have to work with all of those different people who want different things and find a common consensus. The most rewarding part is when it’s finished. When the structure is up and it’s covered in its glass and you just think of all the years that you and thousands of other people spent together working and trying to achieve a common goal. I think there’s probably nothing more satisfying than seeing the engineering project finished. TT: What is something that you’ve accomplished recently at work that made you proud? RA: Something I’ve done that’s made me proud is that I’ve taken on a new role that’s quite alien to me. Having done a more traditional structural engineering job for more than 10 years, an opportunity came up for me to work in business development — that’s trying to win projects. Before we can actually design a project, we have to compete with other engineers and other companies to win the work. Before we start doing the maths and the scientific work, we’re thinking about what’s the site, what’s the opportunity, how can we help this client achieve that and how do we actually work with this client to win that project. I’m really enjoying it. I’ve been doing it for around two months so it’s all very new but what I’m finding is that I’ve been trained how to solve problems in a particular way and I think I’m applying that kind of engineering brain to many projects so I find that quite interesting. TT: In the past you’ve talked about being the only woman in the room as a structural engineer and that sometimes you were often the youngest. Now that you are established in your field, what do you make sure the younger women who work for you thrive at work? RA: For me, it’s a lot about confidence. First of all, we are starting to see a lot more women coming into the industry. There’s still a longer way to go but for example, at AECOM, I think our graduate intake in the U.K. this year was 43% female. That’s a lot higher than the industry average. When you start to get to those numbers, you stop feeling like you’re in the minority so that’s true at your entry level grade. The challenge then becomes well, what about at senior levels? At the senior level we still have a big disparity. I think for any people from any minority background, it’s about being able to have the confidence that you can do well in this industry even if there aren’t that many role models that you can see in front of you. I try and mentor young women and men where I can, so whether that’s achieving the next qualification or if they have questions about just their careers in general. For me, it’s always about trying to build their confidence to ask for what they want, to think about what it is they really want and then ask for it. TT: When you’re conducting interviews, what stands out to you in an applicant? RA: I think passion. It becomes quickly clear if a person really loves engineering and really wants to solve problems and help people. For me, the technical skills, what degree you have, which university you went to, they are almost secondary because if a person is driven and really cares about what they want to do in their career, then they will learn the bits and pieces that they might not know. I just love seeing enthusiasm and that spark in someone’s eyes when they talk about their future career and how they want to solve problems. TT: Jumping off that to our last question, what advice would you for Assembly readers who are interested in becoming engineers? RA: I would say to ignore the stereotypes that exist. Do your own research because there’s so much information at your fingertips now. And if you’re passionate about solving problems and helping people, then engineering can be a fantastic career for you.